Address: G139, Ground Floor, Old Wing, One Utama Shopping Centre, 1, Lebuh Bandar Utama, Petaling Jaya, 47800, Malaysia. After umpteen years didn’t visit One Utama, today is my first time stepping into this shopping centre after the free MRT ride from Pusat Bandar Damansara to Sungai Buloh, I disembarked at Bandar Utama MRT. I was introduced to this little cafe, Whisk, Oupost. It is located next to Starbucks Coffee. The interior of the cafe looks vintage, used wooden tables and chairs. The compound is rather small and limited walking space or it looks crowded when everyone is sitting inside the cafe. I was a bit shocked when I stepped into the cafe and found there was no pastries served at the counter. It was totally emptied. Then, I walked further into the cashier counter and found they were serving cakes too. We ordered a cake called Granny’s cake. It is a nice cake to try, the taste is just okay and not too sweet. 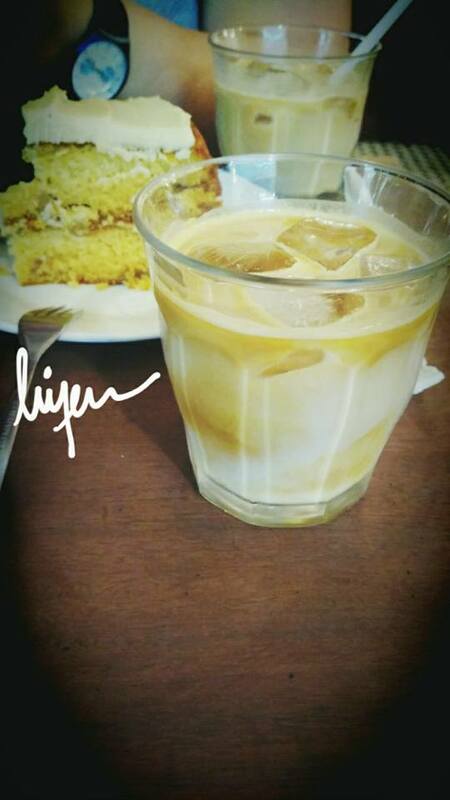 It goes well with my Iced Latte. Just a little comment, I find it a bit pricey for a little cuppa of latte. If I were to compare with the Starbucks next door, probably I will prefer to go Starbucks next time, at least I can collect my loyalty points and free wifi too.